Our mission at Airboat Rides Fort Lauderdale is to spread knowledge, interest, and understanding regarding the Everglades. For many, the Everglades is an untamed land, left to its own devices while practically unattended by humans. It almost seems like it’s a part of Florida that’s completely blocked off from people when this simply isn’t the chance. 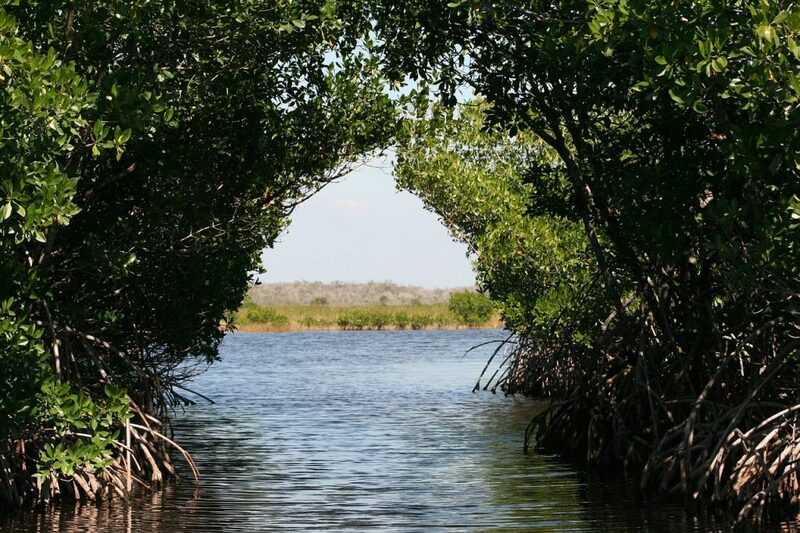 While you may not have the opportunity to casually enter the Everglades due to the five-feet deep waters and dense mangroves, you can see it up close and personal with Airboat Rides Fort Lauderdale. Before embarking on one of our Fort Lauderdale airboat rides, you should be aware of five of our most commonly asked questions about the Everglades. How Big Is The Everglades? How Old Is The Everglades? What’s The Difference Between A Private Airboat Tour and Public Airboat Tour? Why Aren’t There Any Alligators? The Everglades Will Be Around Forever, Right? Frankly, the Everglades is huge. It covers a distance of over 1.5 million acres from as south as the Florida Keys to as north as just under Orlando. The Everglades holds strong as one of the last remaining wetlands on the planet, as well as one of the most diverse ecosystems out there. It would, unfortunately, be impossible to see all of the Everglades on one Everglades airboat tour, but that makes each tour that much more special. On an Airboat Rides Fort Lauderdale private airboat tour, you get to see a piece of the fantastic puzzle that is the Everglades. Make no mistake about its size, though. While the Everglades is very big, it was once far larger. The Everglades spanned over an area over twice the size that it is right now. Practically the entirety of the southern portion of Florida was completely engulfed in mangroves and sawgrass. However, due to urban development and the constant influx of new citizens, the Everglades has downsized considerably. The Everglades has existed in some form for roughly 5,000 years. At this point, large Indian tribes settled in the area named after the distinct bodies of water they settled next to Okeechobee, Caloosahatchee, and Glades. What’s The Difference Between A Private Everglades Airboat Tour And Public Everglades Airboat Tour? Airboat tours have become famous for being the best way of experiencing the Everglades. That said, there are serious differences between public and private airboat tours. While public airboat tours are cheaper, you do get what you pay for. These tours tend to be subpar, sacrificing the actual tour for a significant profit. They do so by fitting as many people onto the airboat as possible, before embarking on a quick 30-minute tour. These tours also take the same path, so there’s no point in doing it twice. With a private airboat tour like Airboat Rides Fort Lauderdale, you get what you pay for. While they do tend to be pricier than public airboat tours, you get an opportunity to truly experience the Everglades. You’ll embark on a brand new airboat with a captain who has a long history of piloting through the Everglades. There is no predetermined path either, we tailor your airboat tour based on what you want to see. A common misconception is that you’re guaranteed to spot an alligator while on an Everglades airboat tour. While the Everglades is known for its large population of alligators, there’s a chance you may not spot one while on your airboat. Alligators are wild animals and display unpredictable behavior. There are days where you’ll spot 100 alligators swimming along the boat and basking in the sun and others where you’re lucky to see one. While we can’t guarantee that you’ll spot an alligator, the Airboat Rides Fort Lauderdale captains do know the best spots for finding one, so you have a very good chance of seeing one with us. It’s difficult to predict if the Everglades will exist for our grandchildren to see one day. The Everglades is diminishing in size due to a number of complex reasons, such as urban development and invasive species. While it does seem as though the Everglades is in bad shape for the future, there have been consistent and heavy conservation efforts put forth to keep the Everglades alive and flourishing for as long as possible. The Everglades is a diverse ecosystem that is unique in its own right. It deserves to be experienced at least once, and what better way to see it than with Airboat Rides Fort Lauderdale today? Call us today at +1 (954) 338-4890, or visit our contact page to discuss your next airboat tour!